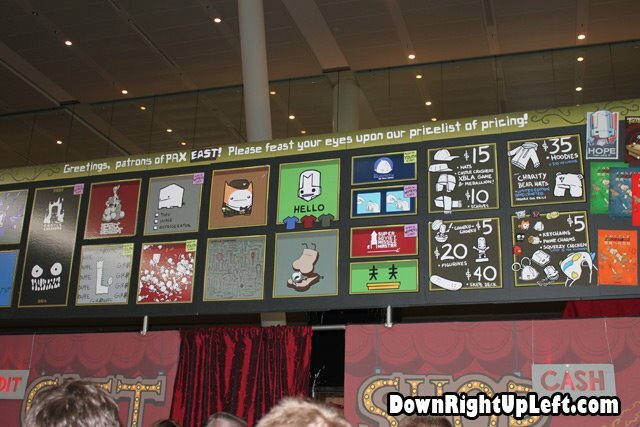 The Behemoth Booth – Sales! For The Behemoth, it’s not about the games it’s about the merchandise they can make based off their games. Sure they don’t have a game to sell other than Battle Block Theater coming out soon to Steam, but their booth never changes! A few cabinets, and a large amount of merch, that’s what it’s all about! I’m not claiming they don’t care for their games, I’m saying they are doing PAX right. Create lovable characters in your games, make merch based off your company, the characters, and everything in between! This supports their next title and increases company presence. Clever! But with a booth that rarely changes, how can you attract new buyers? Let’s take the strategy that almost every Fast Food company has taken, and get an animated billboard! I’d like to know how much of a difference this thing made in comparison to previous years. A New Respect For The 3DS, Reunited!